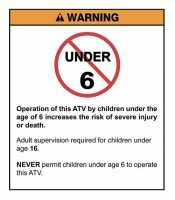 Did you know there are 5 different categories of ATVs? 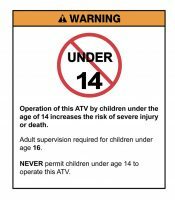 For adults, there are sport and utility ATVs, and for younger riders there are three different categories. 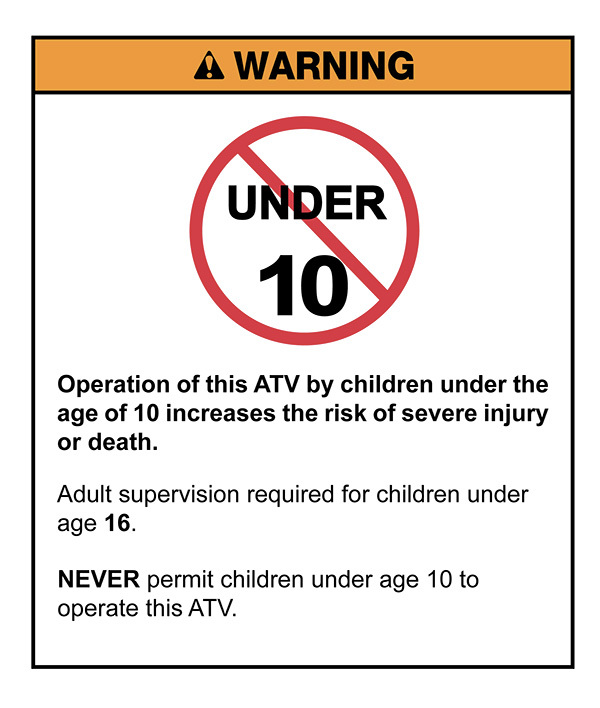 The youth categories are designed for smaller hands and feet, and travel at slower speeds appropriate for their age. 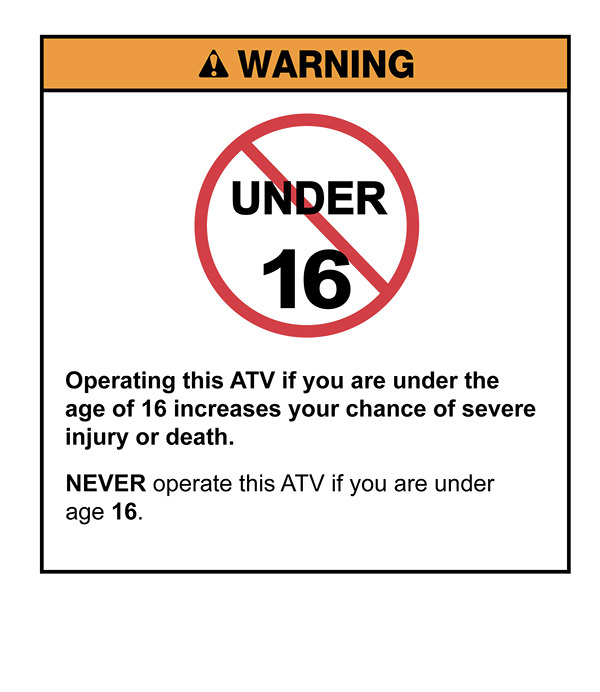 Every ATV made by our Members comes with a warning label, clearly stating the minimum age of the rider. Not sure where to look? 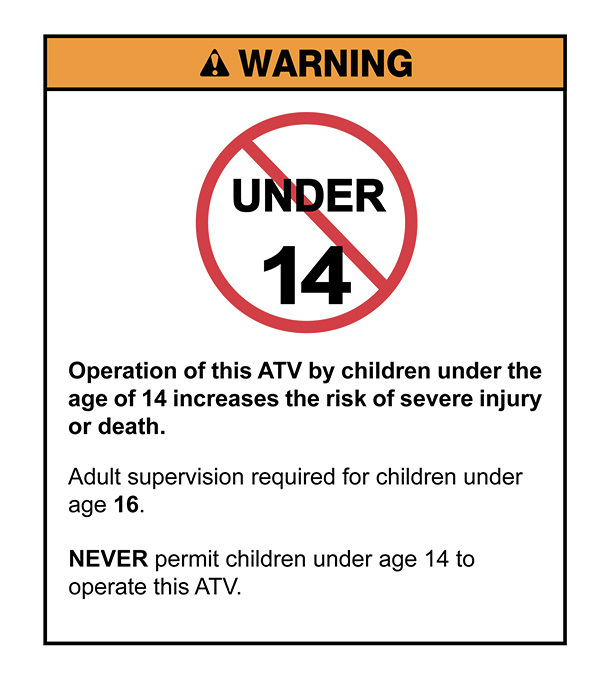 This label is affixed so it can easily be read by the rider when seated in the proper operating position. Find it. Know it. 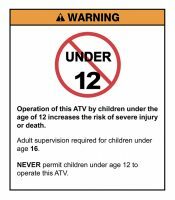 Enforce it. 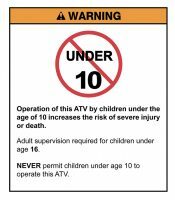 Simply put, your child’s safety depends on it. 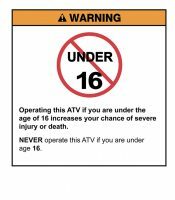 ATVs intended for use by adults (16 years of age and older) have greater speed and performance capabilities and are larger and heavier than youth ATV models. 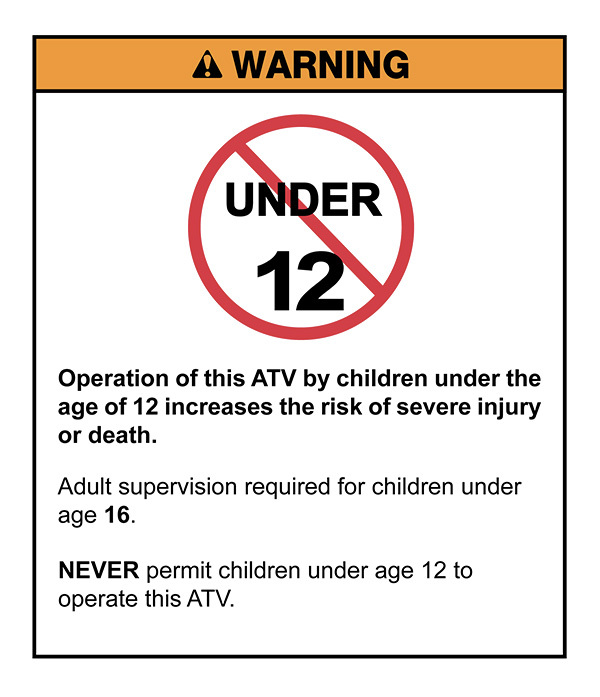 An ATV is not a toy and can be hazardous to operate if you don’t follow the Golden Rules. 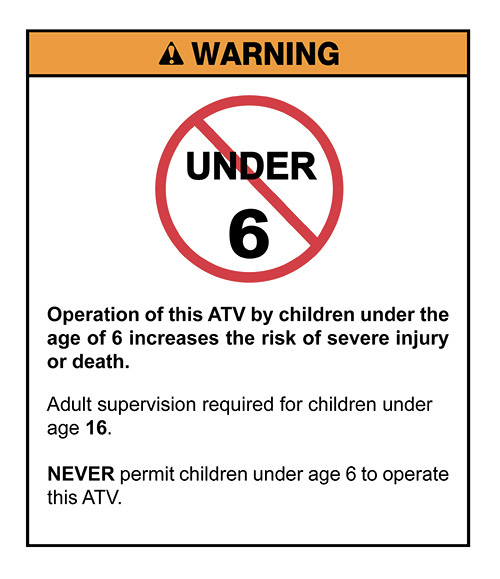 ATVs handle differently from other vehicles, including cars, motorcycles and side-by-side vehicles.